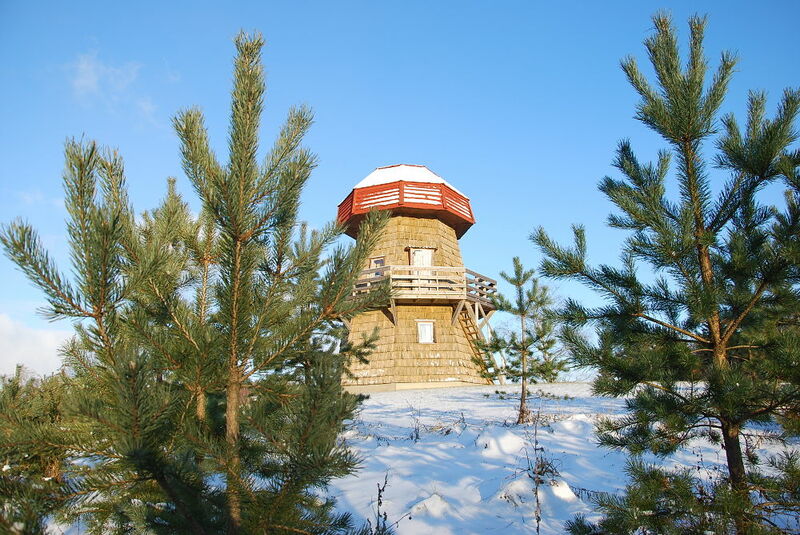 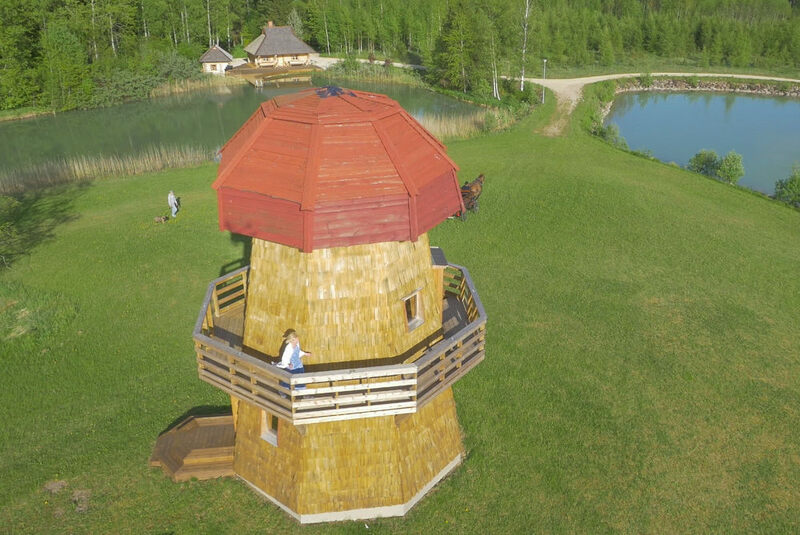 The Windmill cabin is a cute two story wooden building that is situated between two ponds on a little hill that was formed when the ponds were dug. 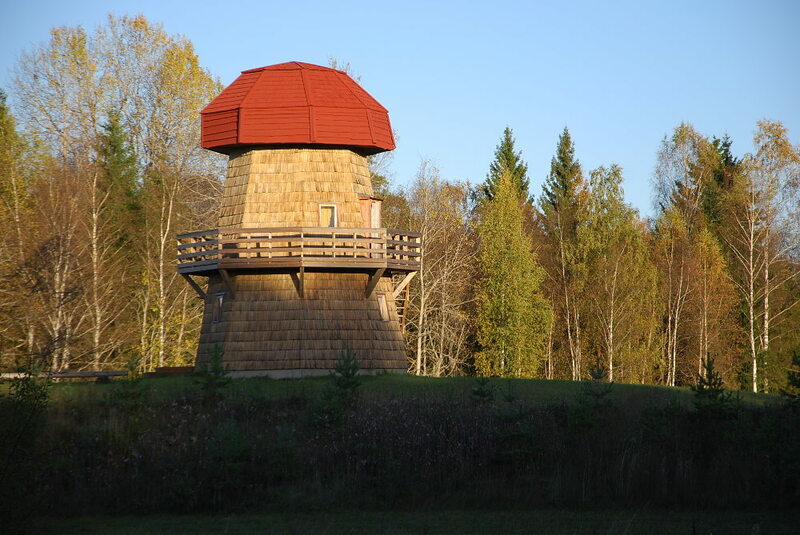 The Windmill cabin adds a little change to the otherwise flat landscape. 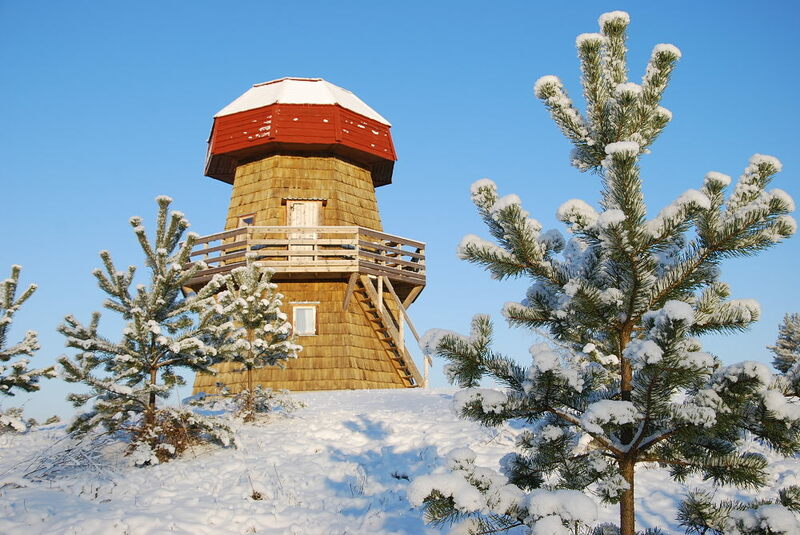 A great view opens up from the 2nd floor’s round balcony of the Windmill house to the whole campsite – ponds, sauna cabin, tenting and activities area and summer hall. 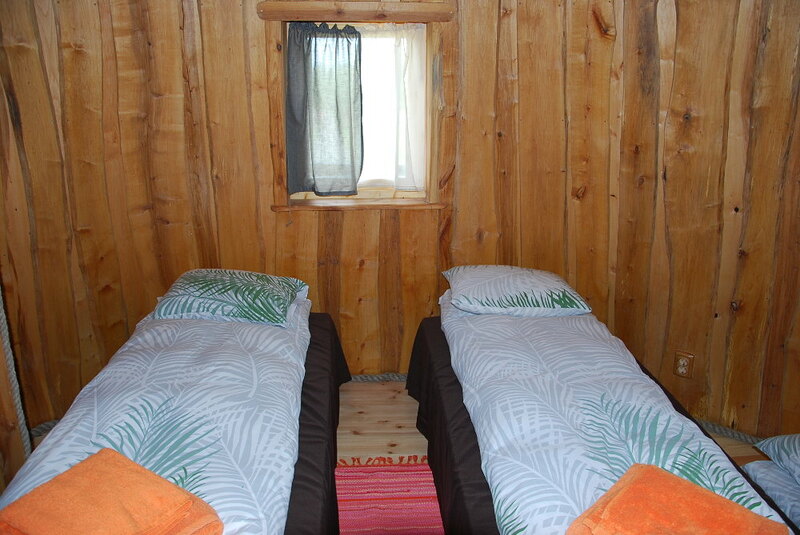 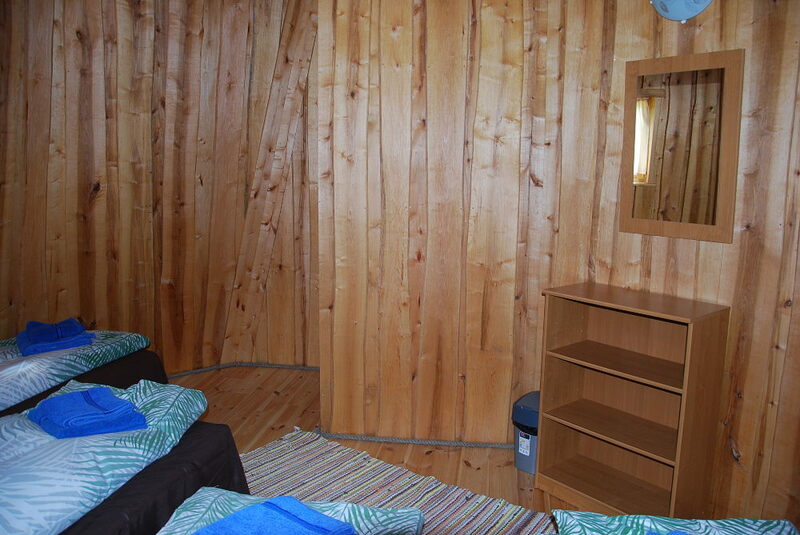 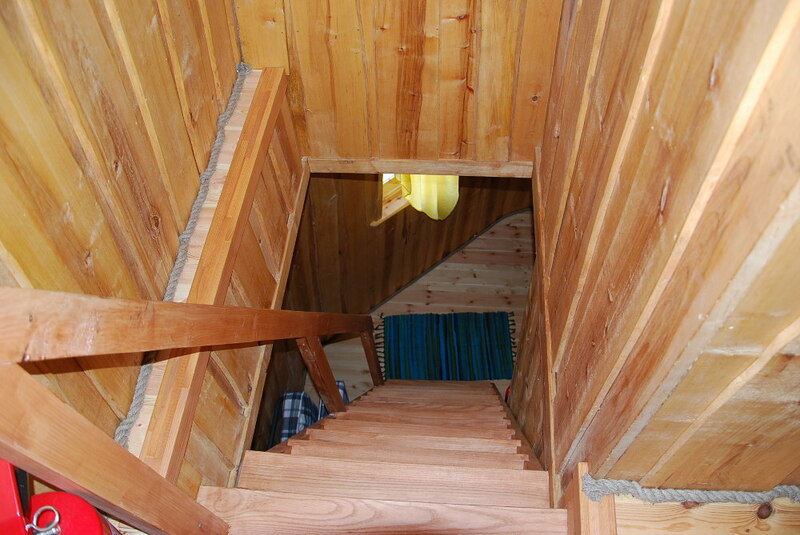 Housing in the Windmill Cabin is prefered during summer months. 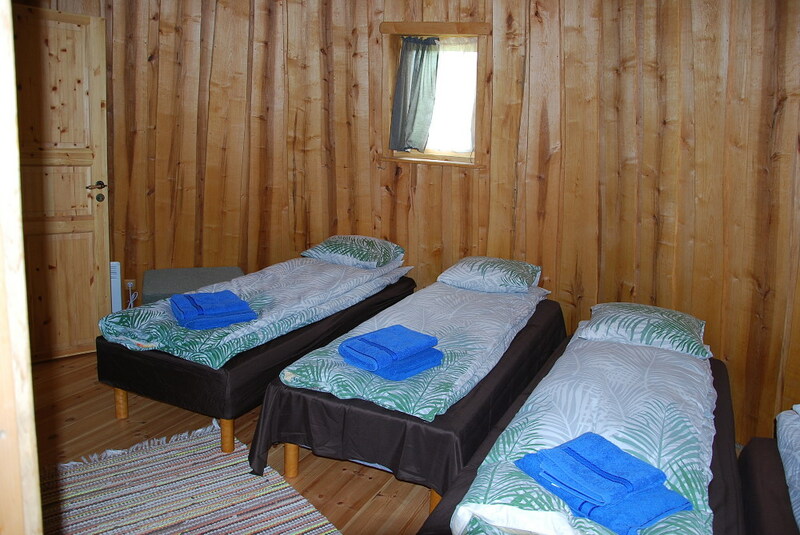 Woodlogers OÜ was supported from August 1st 2012 to July 31st 2013 by the EAS entrepreneurial grant for the building of the website and achieving marketing goals.